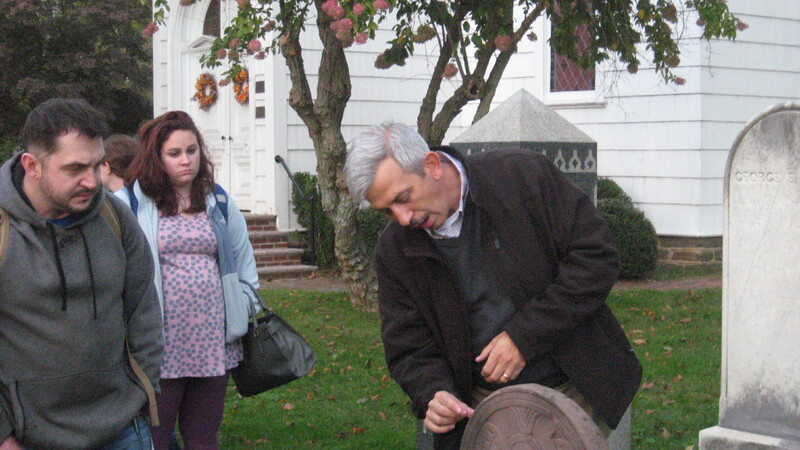 On Wednesday October 12th, Dr. Veit, Chair of the History and Anthropology Department at Monmouth University and leading expert on New Jersey graveyards, brought his graduate students in Historical Archaeology to the church. 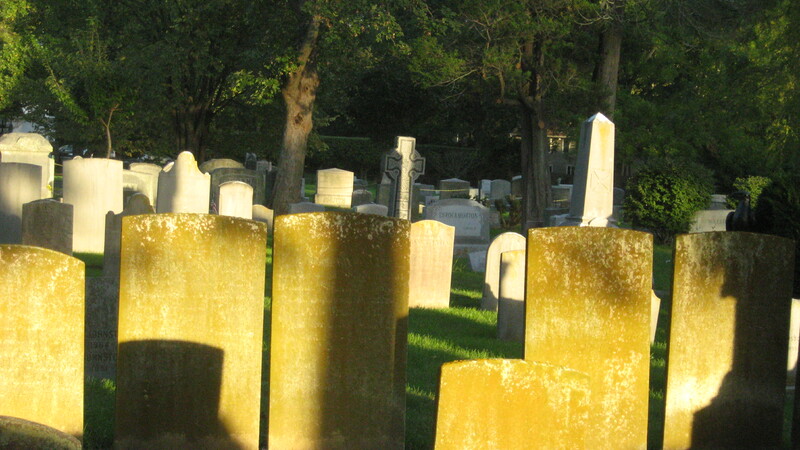 The purpose was to have a tour of the graveyard that, in one modest-sized graveyard, exhibits gravemarkers over three centuries of evolution. Dr. Veit is a long-time friend of Christ Church and partners with us on many history projects. There were about 20 students on the tour including Taylor Kavanaugh who did an internship at the church as an undergraduate in the Fall 2014. Aside from the various gravestones that Dr. Veit discussed, the group was able to see some of the restoration work underway. With the richness of the graveyard the tour could have continued longer than it did but was shortened by darkness. Dr. Veit ended the class with a slide show in the church of gravemarkers throughout New Jersey.